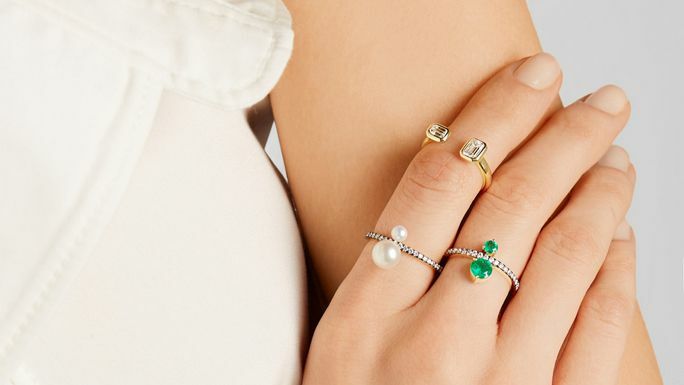 Here are the best emerald jewelry pieces for all of the birthdays this month. Extraordinary "S" settings hold sparkling round-shape lab-created white sapphires in this gorgeous silver bolo bracelet. Extraordinary S settings hold sparkling round-shape lab-created white sapphires in this gorgeous silver bolo bracelet. Sparkle in elegance with this dramatic round-shape lab-created white sapphire bolo bracelet. Sparkle like no one is watching with this lab-created round-shape white sapphire bolo bracelet.